A 8=3.50cts. 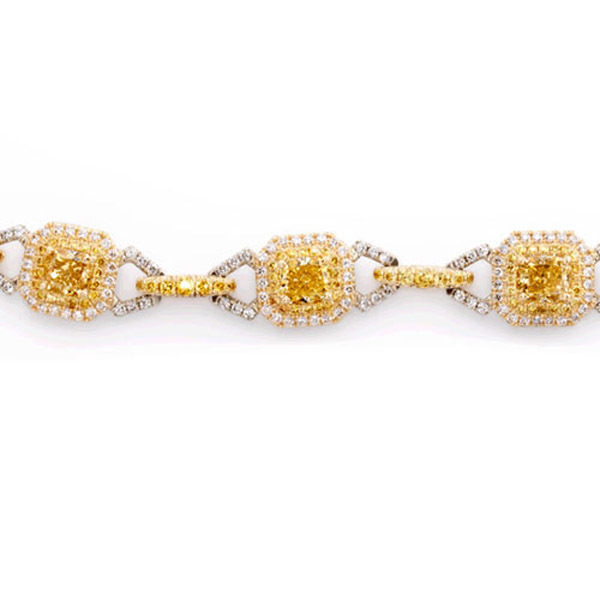 Radiant Yellow Diamonds Bracelet set with 1.63cts Round Melee Yellow and 2.03 Round White Melee Diamonds. Made in 18KW&Y gold 25.50gr.